Product prices and availability are accurate as of 2019-04-20 18:49:03 UTC and are subject to change. Any price and availability information displayed on http://www.amazon.com/ at the time of purchase will apply to the purchase of this product. 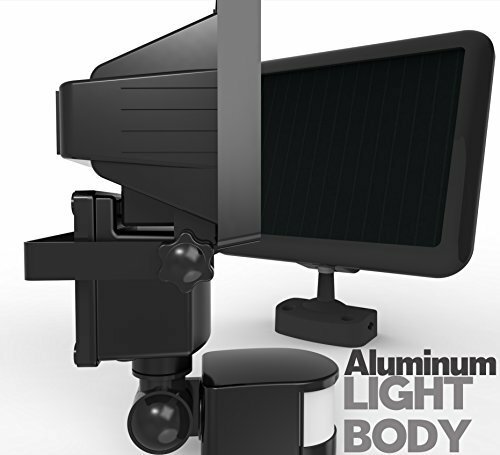 Dual operating modes: 'on' position provides continuous lighting; 'auto' position utilizes the built-in motion sensor to trigger the 'on' switch amid any nearby movement. PIR motion sensor, integrated with the unit, detects any movement at up to 16.4 feet and across 120 degrees. 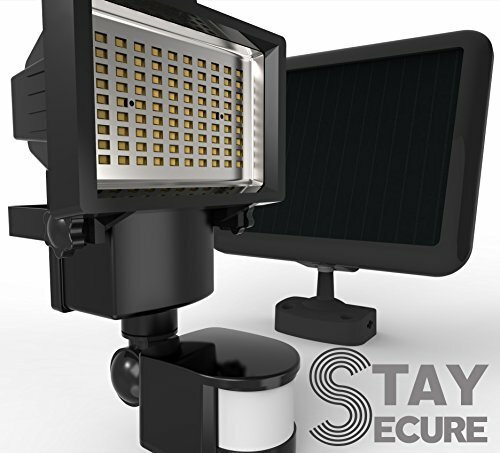 Complete illumination and security lighting for your garden, patio, garage, and pathway; lamp's 90 brilliant solar LEDs emit 200+ lumens. 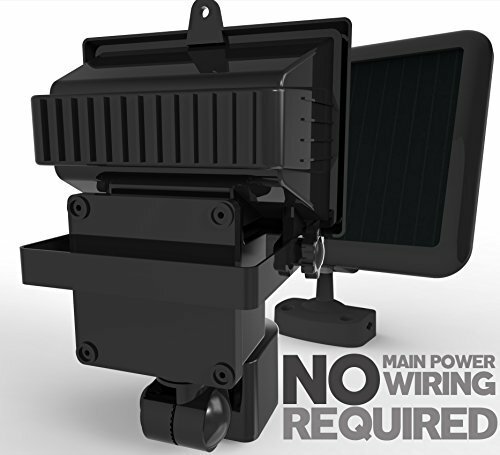 State-of- art and weather-proof solar panel uses high-efficiency and polycrystalline material that optimizes sunlight conversion to electricity; fully-charged unit provides 6+ hours of lighting, even in shade or under overcast skies. Ideal for use in any exterior section of the house or compound such as garage and shed and along driveways, paths, and walls; quick and convenient lighting solution for lawns, gardens, and pools.